I am moving out of the Central Valley and will no longer be a Tracy Mobile Notary. Now I’ll be a Berkeley Mobile Notary and will be available to serve Alameda County and surrounding cities. Below are a few things you should know before meeting with me for a Berkeley Mobile Notary session. My primary function as a Berkeley Mobile Notary is to verify that the signer is who they say they are, so having the proper ID is very important when meeting with me. Each person signing the document(s) must be present at the Berkeley Mobile Notary session and able to provide a valid picture ID with their complete name and address information. I will not notarize the document(s) unless all signers have the proper ID. The name on the ID must match the name on the document(s). Please Note: The ID is allowed to have more name information than the document, but not less. This means every time each signer signs their name on the document(s) it will cost $10. If signers sign their name in two different places, its $20 per signer, three times is $30 per signer, and so on. A flat fee of $40 is charged for a Berkeley Mobile Notary session. This is in addition to the $10 signature fee. 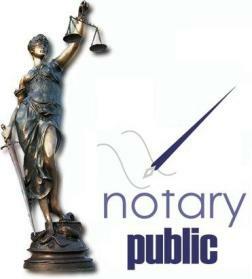 If the document(s) are unable to be notarized during the session for any reason, the $40 travel fee still applies. Each signer must sign my Notary Journal and be prepared to give a thumb print. All documents must be completely filled out prior to meeting with me for a Berkeley Mobile Notary session. Please note: I am not a lawyer and cannot advise you on how to fill out any paperwork. If you don’t fully understand any of these requirements, please let me know when we make our Berkeley Mobile Notary session appointment. I wouldn’t want us to meet and not be able to have your document(s) notarized. See you down the Berkeley Mobile Notary road!